March 4 Richard T. Trundy Memorial Sugar Cup Competition at Sugar Mountain Ski Resort. A giant slalom competition for participants with at least an intermediate or above ability level. Proceeds go to the American Cancer Society in memory of Sugar Mountain's former Director of Operations, Richard T. Trundy. March 4 The BIGBIGBIG One Day Season Pass Sale at Cataloochee Ski Resort. All season passes will be on sale for the lowest price of this year and next year for this one day only. Ski for the rest of the season and next on the pass you purchase on March 4. Pass sale will be from 8:30am – 4:30pm only and you can purchase in person, over the phone with a credit card or online! March 4 Sugar Bear's Birthday Celebration Join Sugar Mountain Resort's resident mascot, Sugar Bear and his friends for a fun birthday celebration. Activities include the Great Bear Race, a magic show, special treats, cake and ice cream. For additional details contact the Sugar Bear Ski School. March 3 Recess Wreck Less Rail Jam at Appalachian Ski Mountain - RECESS and App Terrain Park Present WrecKLess Rail Jam, now in its 3rd year . If you like zombie hands, tomb stones, Cash prizes, gnarly rails, lots of free products, and tons of shred…ding then this is for you. CASH PRIZES - All entry dollars from contestants will go straight into the pot for the winners of the event, with Recess is including an additional $400 - Over $1000 in cash prizes. The event offers Beginner, Intermediate, Advanced and Ladies Snowboard & Ski Categories. ATP will be hooking up another amazing set up with something to ride on all levels. $15 Entry fee with Registration from 9 AM - 11 AM and a starting time of 12 noon. Spectators are welcome with Free spectator passes available and you will be able to participate in the event raffle. Participants must be at least 18 years old to sign up or have a parent/guardian present. February 25-26 USSA SARA Championship at Sugar Mountain Ski Resort. J1 and J2. By invitation only. Sponsored by SPYDER. Hawksnest reports they are open for snowtubing today with sessions at 10 AM, 12 PM, 2 PM, 4 PM and 6 PM, weather permitting. Zipline tours will also be available from 10 AM to 4 PM, reservations are recommended for zipline tours. Tomorrow's weather should start with snow flurries then becoming partly sunny with highs in the 30's. Today at Sapphire Valley Ski Slopes: Skiing 2 slopes with 2 lifts on a base or 24-50 inches groomed and packed surface. Today at Wolf Ridge Ski Resort: Skiing 10 slopes with 2 lifts on a base of 19-20 inches groomed surface. The Terrain Park is closed but tubing is open. Natural Snow and cooler temperatures are predicted for tonight. Today at Sugar Mountain Ski Resort: skiing 17 slopes with 5 lifts on a base of 27-49 inches loose and frozen granular surface. Cold temperatures and snow showers are predicted for this evening and tomorrow morning, with snowmaking continuing as temperatures drop. Spyder Sample Sale is underway at the Sports Shop. Today at Beech Mountain Ski Resort: Skiing 11 trails with 3 lifts on a base of 26-48 inches. Natural snowfall and cold temperatures are forecast for today and snowmaking will resume as temperatures allow. Today at Appalachian Ski Mountain - ASM is still 100% OPEN, skiing 12 slopes with 6 lifts on a base of 40 - 60 inches groomed surface with snowmaking planned for tonight. ASM is now offering its best season membership deal ever – buy your 2012-13 season membership before March 25 and ride free for the last 5 weeks of the 2011-12 season. Today at Cataloochee Ski Mountain: Skiing 15 trails with 5 lifts on a base of 32-60 inches groomed surface. Night skiing Tuesday - Saturday only. Tube World is open for sessions at 4, 6 and 8 PM. The Wee Bowl Childrens Snowplay Area for kids under the 42" height requirement will not be open. -Live 80's bands each night! February 25 Ladies Park Night at Appalachian Ski Mountain. A special terrain park area is constructed with features specifically designed for learning and progression that will be open to ladies only. Women of all ages and abilities are welcome, for both ski and snowboard, to get together and ride in a laid-back environment among friends. For the 50th Anniversary Family Day celebration today Appalachian Ski Mountain is offering a Special 2 for 1 ticket offer: buy an 8 hour flex ticket on Monday, Feb 20 and get a free ticket good any day or night in March. February 23 Spyder 2013 Sample Sale 2013 Spyder samples are 30% off retail prices only at Sugar Mountain Resort. Quantities and sizes are limited, so come early. Prices you won't find anywhere else. Spyder is the World's leading winter apparel company. February 20 50th Celebration Family Days Special “Family Days” continue Appalachian Ski Mountain's 50th year celebration with a variety of activities including: a Live 60’s Band; Every “Elvis” skis free (Sideburns & Costume Required. February 19 High Country Junior Race Series Giant Slalom Championship at Sugar Mountain . A Giant Slalom competition for all High Country junior racers. Registration is from 7:30am-8:30am. Race start is 9 AM on Big Red. February 18 Snowman Building Contest at Beech Mountain. Strut your frosty stuff at the Annual Snowman building contest. Your creativity is the limit (family friendly), just bring your own accessories. Prizes will be awarded for the most creative and superlative snowman/woman. After the contest hit the slopes and enjoy the best conditions so far this year. Valentine’s Day Special at Beech Mountain: Ski vacation for two: $198 gets you lodging at the Pinnacle Inn Resort, lift tickets, equipment rentals and dinner a the Beech Alpen Inn Resort. Includes a bottle of champagne for after your ski day. Today at Appalachian Ski Mountain: Skiing ALL 9 slopes with 6 lifts on a base of 43-74 inches groomed surface. Thin Slice & Candied Appal will also open today with peak season conditions. Snowmaking will be in progress during the morning only. Terrain Park Update: The Appal Jam Terrain Park will be open today with man-made snow features. The park has not been groomed, but hosts some one-of-a-kind windlips, ridges, berms, bowls, and other options to challenge riders. No features are marked, and riders are advised to scope the snow features first. The Appaljack Terrain Park will be fully rebuilt today, and should open soon. The AppalTop Progression Park will be open today at 9 AM with newly setup features and a beefy new drop-in for speed. Today at Cataloochee Ski Area: Skiing 100% with 16 trails and 5 lifts on a base of 30 - 63 inches packed powder surface. Snowmaking continues with colder temperatures remaining. Be prepared with gloves and goggles. Today at Sapphire Valley Slopes: Skiing 2 trails with 2 lifts on a base of 25-60 inches groomed and packed surface. OPEN Saturday, Feb. 11, 9 AM - 9 PM; Sunday 9 AM - 6 PM and Monday 5 PM - 9 PM ( weather permitting). Natural snow is falling Saturday AM ! On the Slopes at Sugar Mountain 2-11-12 - Natural snow! Today at Sugar Mountain Ski Resort: Skiing 17 slopes with 6 lifts on a base of 24-50 inches of NATURAL and man made powder. It's snowing on the mountain with 6 inches predicted for today. Conditions are great - head for the slopes! Today at Beech Mountain Ski Resort - There is fresh snow on the ground after more than 60 hours of snowmaking through week. With cold temperatures in the extended forecast, it looks like February will be the best ski month for 2012. Skiing 13 slopes with 4 lifts on a base of 20 - 42 inches. College Weekend is February 11 - 12 with discounts are offered in group sales with a valid college ID. Call ahead to check availability. Lift tickets, equipment rentals, and lodging starting as low as $85 per person, this weekend only!! Call group sales for more information 1-800-438-2093 ext 205. On Saturday, February 11, at 4:30 p.m. in the View Haus, a Karaoke Contest will kick off the night. From 6-10 PM. Enjoy local favorites Uncle Mountain and BPL playing in the Beech Tree, joined by a mechanical bull. Drink specials will be offered all evening and shuttles will be running. Come celebrate - NO COVER. .Non-Holiday Monday through Thursdays get free beginner lessons at Cataloochee Ski Area with your equipment rentals, Monday through Thursday. 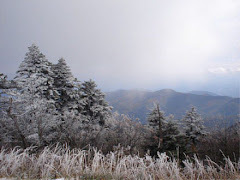 Cataloochee offers this introduction to skiing or snowboarding lesson FREE when you rent your equipment from the area. These one and a half hour sessions are offered non-holiday Monday through Thursdays throughout the season and lesson times are 9:30am, 11:00am, 1:30pm, 3:30pm, 5pm and 7pm. You need to be at the area and signed up for your lesson at least 30 minutes prior to the time your lesson begins. February 11-12 at Sugar Mountain Ski Resort: Crescent Ski Council Competition. Slalom & Giant Slalom competitions for Crescent Ski Council members. Competitions begin at 9 AM. February 11 - Shred for the Cup Rail Jam at Appalachian Ski Mountain. Now in its 6th season, the SFTC series is the region’s premiere competition and features three unique events (Big Air, Rail Jam, and Slopestyle) throughout the winter season. Shred for the Cup is open to both Skiers and Snowboarders of all age and ability. Tons of prizes are up for grabs, as well as points for the entire series winners. All event participants will receive lunch and Shred for the Cup series T-Shirts. Today at Sapphire Valley Slopes: Sapphire continues closed due to warm weather. Today at Wolf Ridge Ski Resort: skiing 10 slopes with 1 lift on a base of 21-31 inches groomed surface. The terrain park remains closed. Today at Sugar Mountain Ski Resort: Yesterday's snowmaking added about 4 inches fresh snow. Skiing on 16 slopes with 5 lifts on a base of 17-39 inches. Ice skating and tubing are open for all sessions. Today at Beech Mountain Ski Resort: skiing 11 trails with 4 lifts on a base of 16-42 inches. Today at Cataloochee Ski Mountain: Skiing 113 trails with 5 lifts on a base of 20-53 inches groomed surface. Law enforcement Appreciation Days continues today. Today at Appalachian Ski Mountain: Skiing 13 slopes with 6 lifts on a base of 34-64 inches groomed surface. Beginning Feb 1, both Individual & Family Membership prices will be 30% off the regular season rate. This late-buy discount also includes the Nights-Only Season Pass, now available for $203.